Government of India, Ministry of Railways, Railway Recruitment Cells (RRC) Special Recruitment Drive for Persons with Disabilities (PWD) for erstwhile Group 'D' posts for filing up total 1884 Vacancies. Eligible PWD Category Indian Nationals Apply Online through RRC NR Website on or before 31st January 2016. 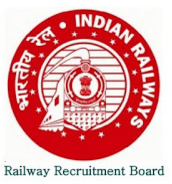 RRC wise Vacancies: Mumbai (WR) - 117, Jaipur (NWR) - 10, Allahabad (NCR) - 370, Hubli (SWR) - 214, Jabalpur (WCR) - 125, Bhubaneswar (ECoR) - 23, Bilaspur (SECR) - 04, Chennai (SR) - 63, Delhi (NR) - 166, Guwahati (NFR) - 16, Kolkata (ER) - 116, Kolkata (ER) - 73, Kolkata (SER) - 73, Mumbai (CR) - 397, Patna (ECR) - 45, Gorakhpur (NER) - 84, Secunderabad (SCR) - 61. Age Limit: 18 to 42 Years. UR - 01/011974, OBC - 01/01/1971, SC / ST - 01/01/1969, Lower date of Birth for All - 01/01/1998. Age Relaxation: By 10 years for persons with disabilities (PWD) (13 years for OBC and 15 years for SC/ST), For Ex-servicemen with disabilities, up to the extent of service rendered in Defence, plus 3 years, provided they have put more than 6 months service after attestation. Minimum Educational Qualification: 10th (Matriculation) or its equivalent examination (OR) ITI equivalent or National Apprenticeship Certificate (NAC) granted by NCVT. Selection Process: Single stage Online Exam, documents verification and medical examination. The Online exam scheduled to be held between 15th February to 25th February 2016. (1) The Question papers will be of Objective Multiple Choice Type. (2) The standard of questions for the online examination will be generally in conformity with the educational standards prescribed for the posts. Question will be objective in nature with aim to assess general knowledge / awareness, mathematics and reasoning etc. The question paper will have 100 questions. (3) There shall be negative marking in online examination and marks shall be deducted for each wrong answer@1/3rd of the marks allotted for each question. (4) Duration - Duration of the examinations will be 90 minutes. Extra time of 30 minutes shall be allowed to the VH candidates, where scribe is allowed. How to Apply: Eligible Candidates are required to Apply Online through RRC NR Website and fill up the personal details and Bio-data etc. The closing date for online registration is 31/01/2016 up to 17:00 Hours.